Our reward is serving God's name. If there is something that fills my heart with joy is my humble service to God. If there is something that I will never regret doing and would like to do the rest of my life is my humble worship to you, my Lord. Just the word that says I am your servant of the Holy God stirs joy and happiness together in my heart. That I am not exalting your name in vain. That I am not working for money and fame that everybody will leave it in here. You are my reward in deed that I have profited in serving your Holy name. If I trusted flesh that my reward comes from them, I will be piteous man. 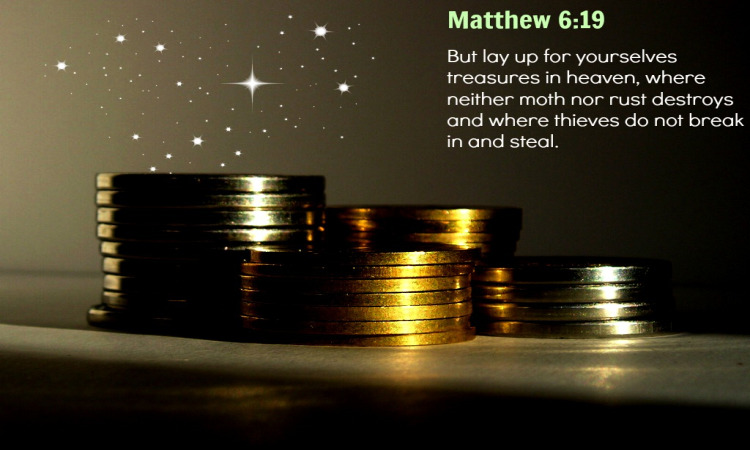 If my heart leaps with joy so that I can accumulate a vast amount of earthly treasure, how miserable would I be? But you have called me by name and I became the son of the most high through Christ Jesus serving your name. How piteous would I be if I have lived all my life for a wood made by the hand of a man? My reward will not come from man. I don’t even really desire thank you from a flesh. But my delight is if I only make You happy all the days of my life. That I will never do anything that will make You regret that I am yours. That is my trust that is my desire that is my wish and that is my reward. You have given me everything that is yours through Christ with Christ. Your love has given us your gift of love. We have done nothing to deserve any of this. Your grace has completely raised us with favor. While we are disgraced and left alone that no one was able to recognize us, you lifted us from the ground so that we could have a life filled with joy. Christ had given up his life so that others who believed in him shall live a long life of happiness and joy.